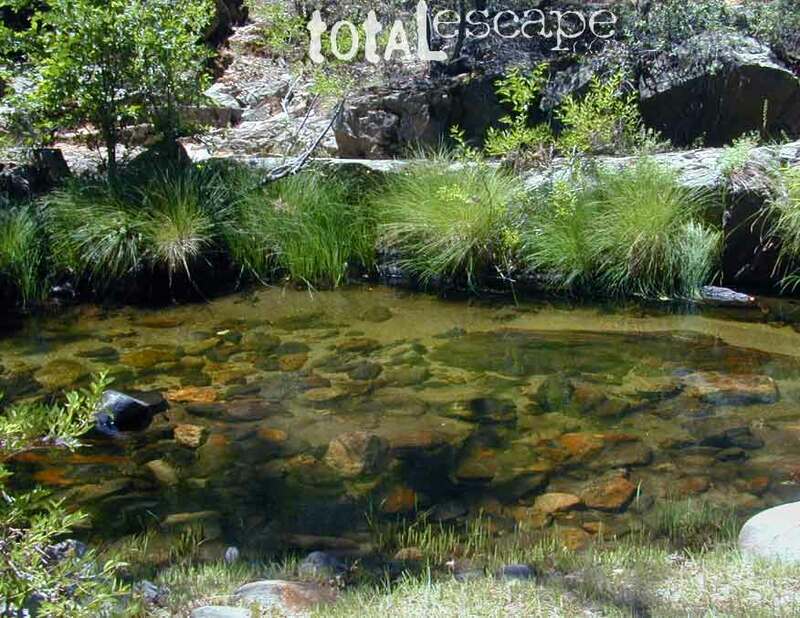 Clear cool stream waters flow from snow melt at 10,000′ elevation, down to these pristine camps at under 4000′ on both sides of the Sierra. The further you drive up the mountain, the better it gets. Where the Eastern Sierra side tends to be more dramatic desert like with sage brush, the western range is much more lush with ferns & dense trees. This dreamy camp isn’t only in your imagination, nor is it at the local county campground a few miles from home. This kinda beauty & rare finds are out there, deep in the back woods, the mountains. You gotta know where to look & what to bring in order to have a good, easy, relaxing time. These secluded sites really are around in your favorite forest, way back there. Best of all, they are free. Having the opportunity to camp in your very own private, secluded spot, along dirt roads, outside of the annoying rules and fees of a developed campground is a privilege. Use these lands wisely and be a responsible camper. Camp eco-wise! Respecting the land, knowing some basics and following fire safety precautions is all mandatory. A topographic hiking map or a National Forest map is optional, but highly recommended. Creek water can make an easy refrigerator if the cooler is full. Chill that bottle of wine, keep the watermelon cool .. just don’t forget about it. (cuz that kinda litter maybe a welcomed good surprise for the next camper.) Secure your wet creek valuables. Even a heavy watermelon can float! Put some rocks around items or tye them in a mesh bag, with rope, something to keep them from getting away in the swift water. There is nothing that beats a good detailed forest map of where you are going. If you are the type of person who can never make a straight B-line for home on Sunday afternoon, and find yourself wandering just for the sake of wandering – then it’s best to have a larger state wide map like this beauty from Benchmark Maps. If you are the kinda sport who can really rough it, you may learn to love it. After your first real back woods camping experience, the privacy, serenity and beauty of the land will inspire and relax you so much, that the drawback on the lack of toilet won’t bother you. Make a new hobby of learning how to stay away from the crowds. The less cars you see at camp, the better. Learn to be immersed within nature and enjoy your space outside. Unwind, next to the creek in the shade, with a chair and read for hours, or bring the sketchbook, or just daydream as butterflies go floating by. You’ll need a free camp fire permit; pick up at the local rangers station. Classic camp potty info. Proper disposal of human waste is important. Use biodegradable soaps when outside. capable vehicle – SUV or Truck, high clearance is best. 4×4 is NOT required. AWD wagons should be more cautious when venturing out on the back roads. 2WD is fine for most graded dirt roads, but way out exploring dirt roads, deep mud and snow is quite possible. destination – Pick a locale. A general area you wanna check out. Not a quickie overnight deal, but an enjoyable lazy multi-day camping trip. exploration – Narrow down a canyon or river that you have always wanted to explore. The Sierra Nevada & NorCal is the place to concentrate your efforts, as SoCal is near desert climate w/ way too much development. more maps please – National Forest map or similar backroads Map/Atlas. Large topo maps may be too detailed, but will do okay for finding dirt roads (& backpacker trailheads also). The more homework you do before hand, the better chances of finding that secret camp spot, especially on holiday weekends. Go ahead & call the forest rangers. Have your decent topo maps handy, along with pen and paper. That’s what they are there for. Have a list of questions on specific areas you want more info on. If you do the prep work well in advance, it makes a more enjoyable camp trip. 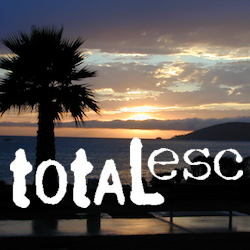 Cuz you’ll be less worried about finding the ultimate places (before dark, or before the other guy does). With your new profound Wilderness Vision, you will have not only a plan B ready, but a plan C as well. it’s on your map – After you have a general area narrowed down, some place you always wanted to go, then it’s time to get your maps out & start reading them. Or at least staring at them – maybe over a meal, whenever you have free time to study it. Look for dirt roads, the further off the paved roads is not necessarily the better. Some of the best camp sites are within a few short miles from the pavement, so get them maps out & start visualizing. gas up – Make sure you fuel your vehicle before you head into remote areas (like the ones we are mentioning). Maybe even an extra can of gasoline too, just in case. the blue lines – You’ll know a decent road when you see it. When you start planning at home, you need to concentrate of what dirt roads are along what water sources. And will these streams be flowing at this time of year? 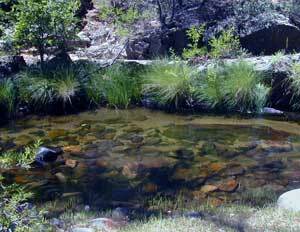 Many are seasonal creeks & can dry up in summer. 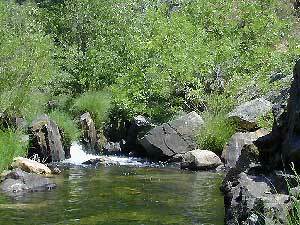 The most likely place to find great water flow is to look for the streams flowing directly into a major river or Lake/ Reservoir. Are you willing to clean up your camp, before & after, leaving it pristine? Yes indeed, it is free to camp outside of developed campgrounds.